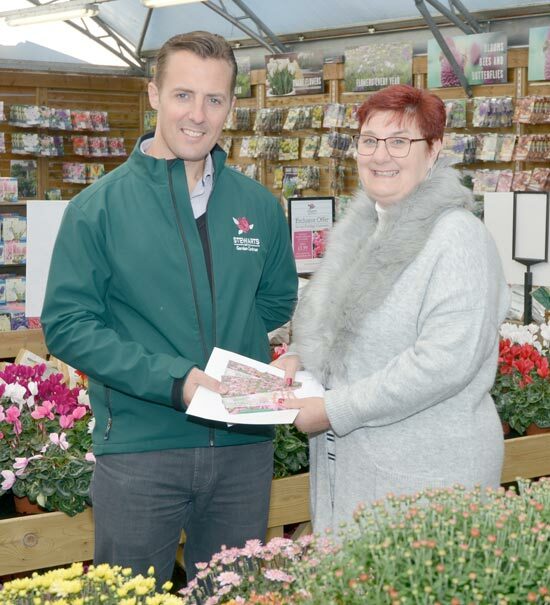 The prize – £100 worth of vouchers for Stewarts Garden Centres – attracted a phenomenal 10,562 entries. Drawn by randomiser, the winner, Emma Masterman, came from Broadstone in Dorset. Emma, a retail worker, admitted that she frequently enters competitions, but this was a rare win. On accepting her prize at the Broomhill Centre near Wimborne from Terry Head, Stewarts’ director of retail and marketing, Emma said, “It was great to receive the call from MAGS4DORSET saying I had won! The vouchers will be useful to purchase Christmas gifts and help us with our maintenance-free garden plans.” Emma’s husband Duncan will help with any planting.